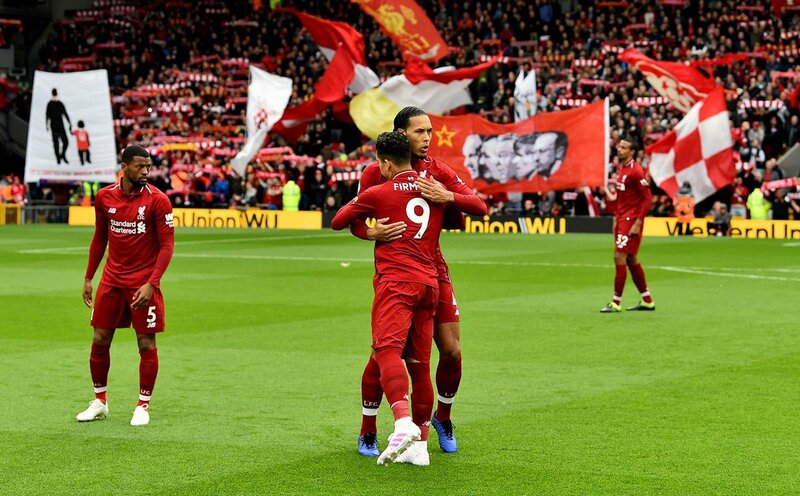 It was another inspirational performance from Virgil van Dijk as Liverpool snatched a crucial three points against Tottenham Hotspur to maintain their push for the Premier League title. The Dutch defender has proved one of the best mid-season signings of all time but he faces some stiff competition from some of the players listed here. The Dutch defender is regularly talked about as being among the world’s best defenders and his form at Liverpool is one of the reasons they are pushing for a first ever Premier League title. Van Dijk was wanted by Liverpool for some time before he eventually left Southampton in 2018 for an estimated fee of £75million. He had previously cost Saints £13million from Celtic. Now the captain of the Netherlands national team, his influence for Jurgen Klopp’s side is absolutely critical. People of a certain age can still recall Kevin Keegan trying to placate Newcastle fans after Andy Cole had been sold to Manchester United in 1995 with Keith Gillespie arriving as part of the deal. The £6million cash deal was a masterstroke from Sir Alex Ferguson as he became a key part of the United team for years to come. Now at Manchester City, Mahrez was one of Leicester’s greatest ever signings. The Algerian arrived at the club from Le Havre in 2014. He spent four years at the King Power Stadium and was a major part of their Premier League title winning side in 2015/16 as he formed a formidable understanding with Jamie Vardy. Evra arrived at the same time as Nemanja Vidic at the pair formed a formidable relationship in the United defence. Evra made more than 270 appearances for the Red Devils, picking up five Premier League titles and a Champions League winners medal. He signed at Old Trafford in January 2006 for £5.5million and soon established himself as a regular. Coutinho moved to Anfield for a fee of £8.5million in January 2013. The Brazilian star became a huge hit at Liverpool and his form drew interest from Barcelona who tried to sign him on a number of occasions before finally getting their man in January last year for a fee of £105million though the eventual fee could rise to £142million. He has not been the sensation that Barca expected and speculation has been rife that he will be on the move in the summer. The Uruguyan striker scored 69 goals in 110 Premier League games for Liverpool after joining them from Ajax for £22.8million. Signed on the same day as Andy Carroll from Newcastle, Suarez enjoyed a largely successful spell with the Reds though was frequently dogged with controversy including two biting incidents and a racial abuse row. He left for Barcelona in 2014 for a fee believed to be around £64million and became an instant hit at Camp Nou, leading the line alongside Lionel Messi and Neymar Jr.
Nobody could have predicted that Eric Cantona would have such a colossal impact at Old Trafford when he signed from Leeds in 1992. Often painted as a troublesome Frenchman after short-lived spells at a number of clubs including Sheffield Wednesday, Cantona cost United £1.2million. Not strictly speaking a mid-season recruit, he went onto make 143 appearances but more than that, he became a legend in the eyes of every United fan. Now an established England international, Alli’s £5million move from MK Dons in 2015 didn’t make many headlines. Alli was loaned back to MK Dons and didn’t make his Spurs debut until 2015. Since then, he has been an important player for Mauricio Pochettino.